Sheds have a variety of uses and we know that! 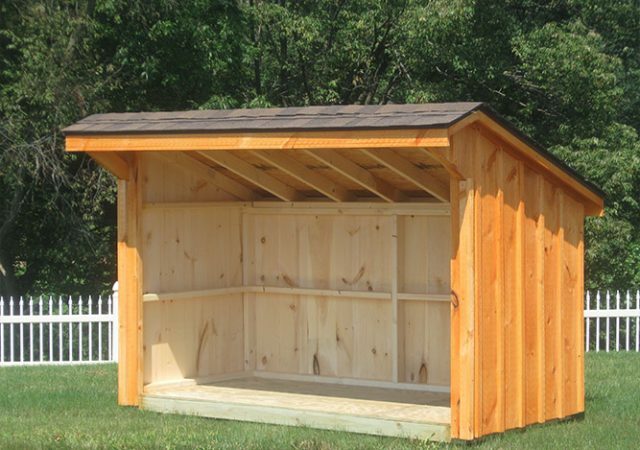 That is why we offer a large selection of Amish made sheds. 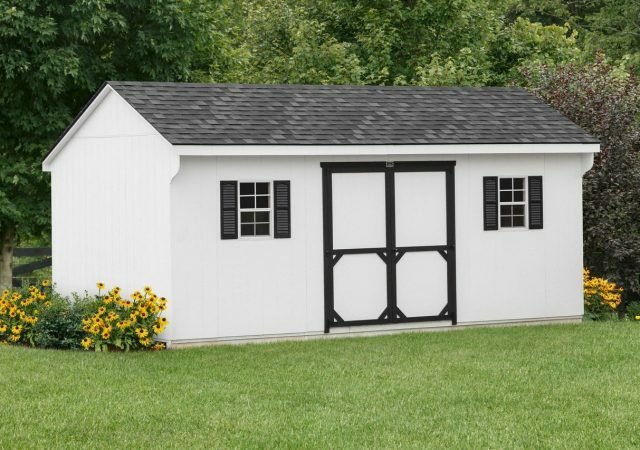 Whether you want to free up space in your garage or need a place to park your new motorcycle, we want to offer you Amish storage sheds that fit your individual needs and still work with your budget. 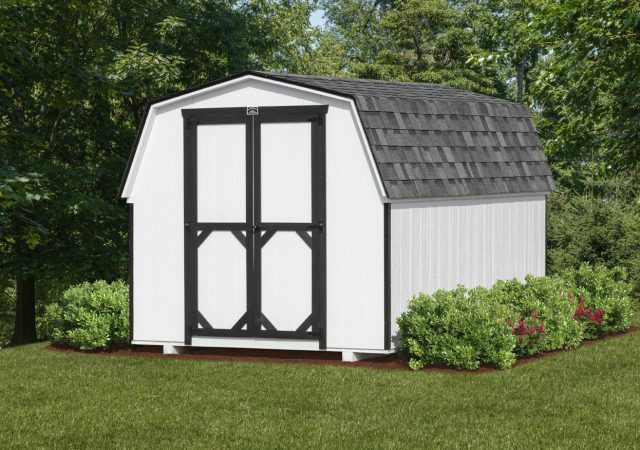 Hand-crafted by Amish builders, our outdoor storage &amp; garden sheds provide quality, convenience and stylish areas for extra lawn and/or garden equipment, children’s toys, sports equipment, and other items that clutter your home and/or garden. Some styles can even hold a single car. It can also serve as the perfect workshop storage for handymen, with spacious interiors that are able to hold all of the tools and equipment they may need. 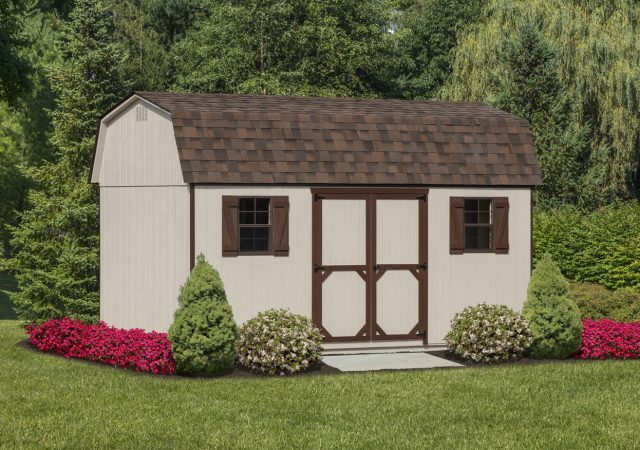 Because each one is hand-built by our Amish craftsman, they can easily be customized to fit your home or garden needs. 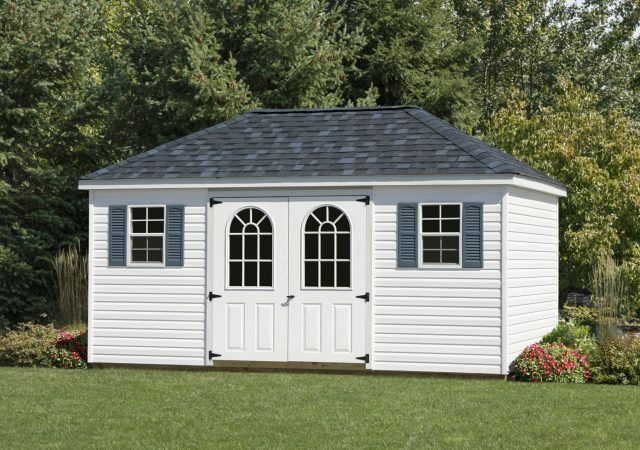 There are many types and styles of rent-to-own standard sheds &amp; garden storage sheds. They include A-frame Workshops, Mini Barns, Quakers, Hywalls, Dormers, Firewood, Garden, Garden Elite, Hip Roof, Sky Shed, and Carriage Style Garden Shed. Each of these are tailored to meet your specific needs and can serve for a number of purposes, depending on the style and build of the shed. 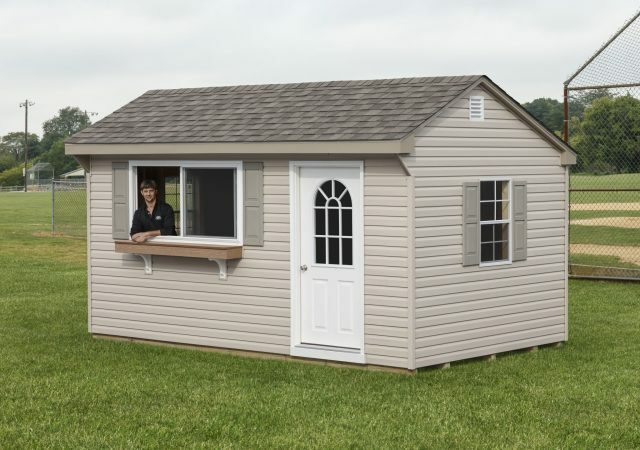 Additional windows, doors, storage lofts, shutters, vents, reinforced flooring, flower boxes, pressure treated wood ramps and vinyl siding may all be added to the storage sheds. The only thing that is required of the customer is a prepared storage pad for the shed to be placed upon. Not sure what that entails? We will gladly give you some tips on how to do it yourself. We can also recommend several site-preparation contractors to save you time and work. 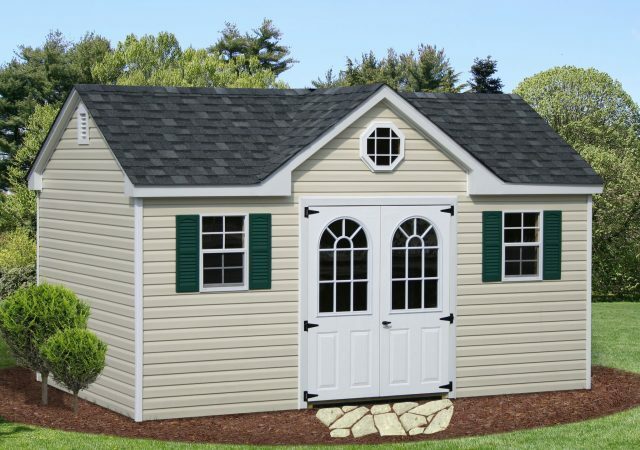 There are two ways in which our outdoor storage sheds can be delivered. They can either be delivered pre-built from the Stoltzfus Structures location, or it can be built on-site for an additional 30%. Amish carpenters will be putting together your shed in both cases. If the rent-to-own storage sheds are brought pre-built, they are delivered using a MULE, or a shed forklift. The MULE is designed for wet weather and tight locations, are convenient and operator-friendly. They are the best choice for our clients who are concerned about yard damage. 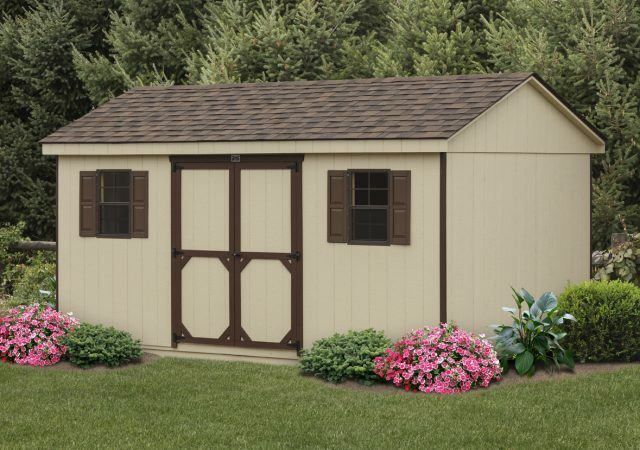 When the outdoor storage shed is delivered, it is first unloaded on the street or in your driveway, and then the MULE is unloaded and lifts the shed to the desired location of your storage shed. 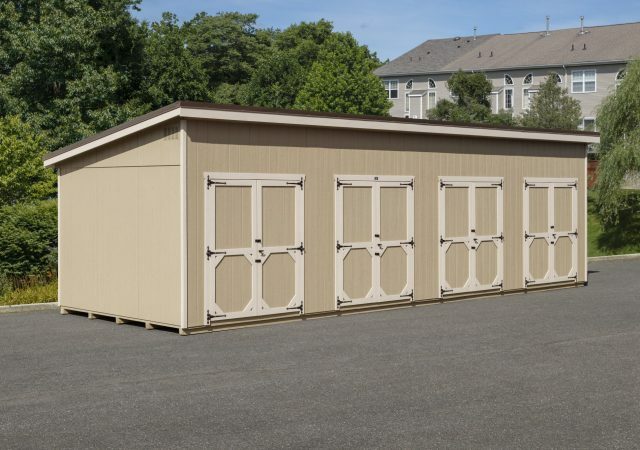 These rent-to-own storage sheds are offered only in the Pennsylvania, Delaware, New Jersey, and Maryland locations. 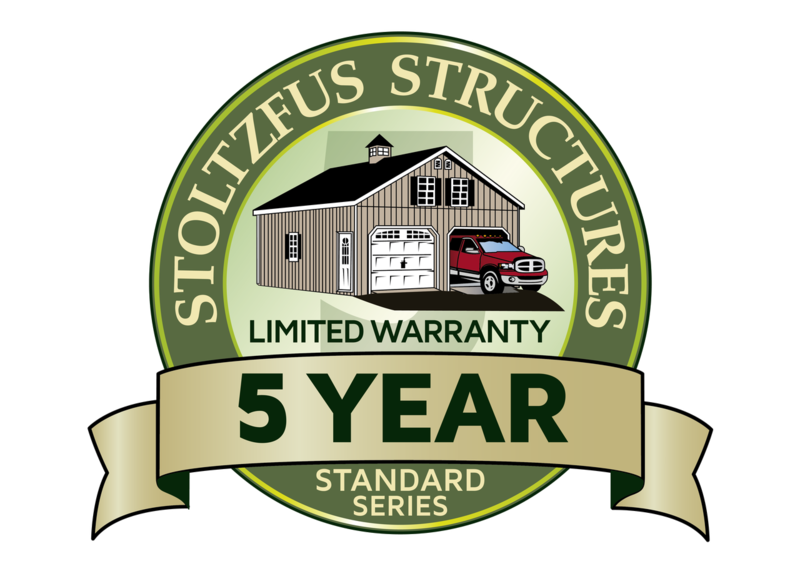 If you are a New York resident, Stoltzfus cannot offer a rent-to-own option, but customers are still able to buy the sheds. Make sure you check out the video above for some information and always feel free to contact us for more information. If you have a specific question or concern about your individual needs, feel free to visit us or call us at (610) 595-4724.